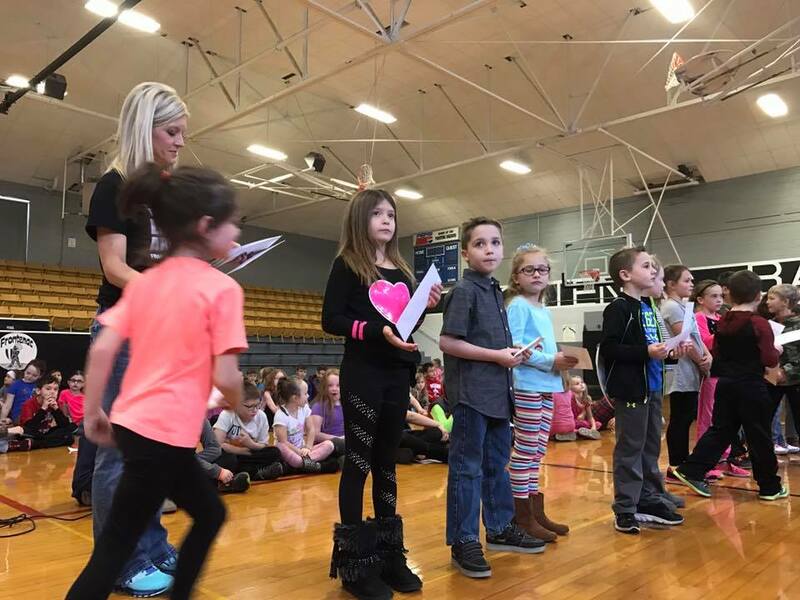 What began with a teacher’s idea to get students more physically active has blossomed into a source of pride for Frank Layden Elementary School in Frontenac, Kansas. Teacher Caroline Capehart grew up in Frontenac, a town built by immigrants and coal miners in the late 1800s, and graduated from Frontenac High School in 1996. Although considered a small town at 3,437 residents, Frontenac is the second largest town in Crawford County. Our county ranks 92nd out of 101 counties in terms of health risks, with 36 percent of adult residents considered obese and 45 percent report no leisure time physical activity. 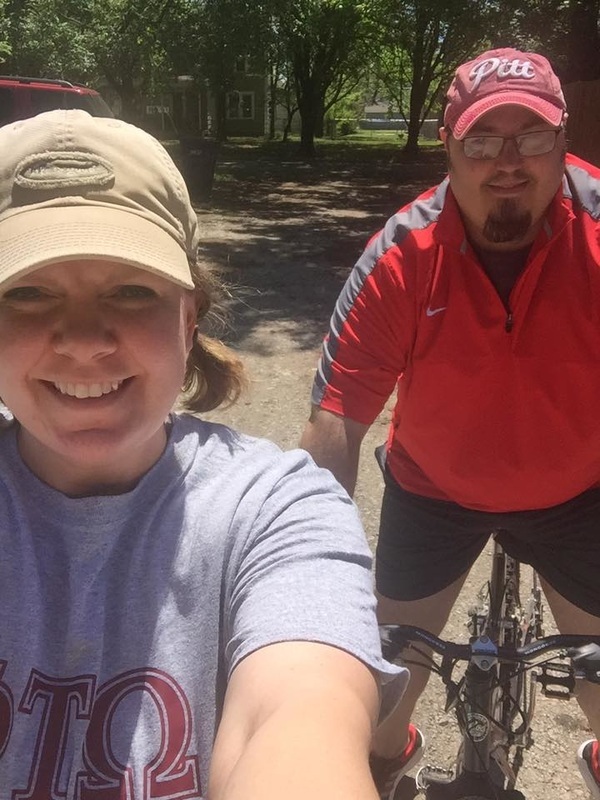 Capehart, once a cheerleader who began running as a youth and now physically active as an adult, aimed to set about lowering those health risks for the kids that she and her colleagues teach. Principal Courtney McCartney said she was inspiring them to begin a lifelong habit of fitness. It was while running one of several marathons in Missoula, Montana, that Capehart herself was inspired. “I had the idea to start our students on a running program that would allow them to run a marathon, or even just a 5K or 10K to start smaller, but to do it in increments over a period of time,” she said. Last summer, Capehart applied for the Healthy Habits for Life grant from Blue Cross and Blue Shield of Kansas. She asked McCartney for permission to use the school gymnasium before school, and the program, Raider Runners, was underway. She was overwhelmed with the number of students who jumped on board: Hoping to have 50 sign up, she got more than 150 of them from kindergarten through fifth grade. Each Tuesday and Thursday, they can choose to show up to school 20 minutes early and begin laps in the gym. Capehart enlisted the help of several other elementary teachers to keep track of their progress; they sit in the bleachers and using a Google spreadsheet that she set up, keep tally marks for all names by grade level. Last month, Capehart recognized milestone moments in a special all-school assembly in the gym: She awarded the first incentives to 120 students who reached the 5K and to 98 of them who reached the half-marathon (13.1 miles) mark just prior to the Christmas break. Costs for the incentives are offset by a $500 donation by Jane Hutsey Insurance & Investments and a $100 donation by Dr. Rob Herron, DDS. At the end of the Spring semester, Capehart will hold another assembly and award charms and t-shirts to those who have completed marathons. Capehart, meanwhile, is looking forward to April: She qualified to run the Boston Marathon. It’s no secret that inactivity increases with age; by age 75, about one in three men and one in two women engage in no physical activity. Dottie Davi is not one of those people. At age 79, she regularly works on cardio, strength training, balance, and flexibility. She doesn’t do it alone. Her partner is Sunni Stipp, who teaches the Age Well class at Pinamonti Wellness. 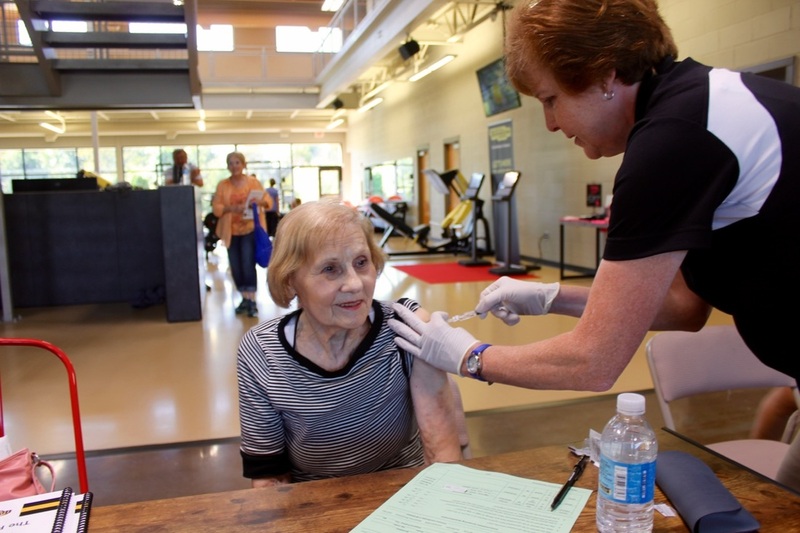 Stipp says the class combats what the CDC is concerned about — that as we age, we lose strength and stamina. Remaining physically active helps maintain the ability to live independently and reduces the risk of falling and fracturing bones. It reduces the risk of dying from coronary heart disease and of developing high blood pressure, colon cancer, and diabetes. It reduces symptoms of anxiety and depression. And it helps control joint swelling and pain associated with arthritis. Davi says it makes her feel happy and healthy to be active at Pinamonti Wellness. To owner Brian Pinamonti, it was a no-brainer to offer not just a class to that demographic, but other Age Well opportunities, as well. 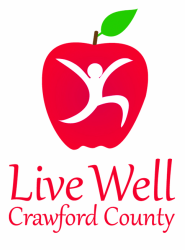 On Tuesday, the Crawford County Health Department provided a free Age Well Advantage Day to older members of Pinamonti Wellness, including a fall prevention session by Janie Terry, flu shots, free blood pressure checks, and chair massages. Dottie was among those who took advantage of what the day offered, ensuring that her health and wellness are on track. 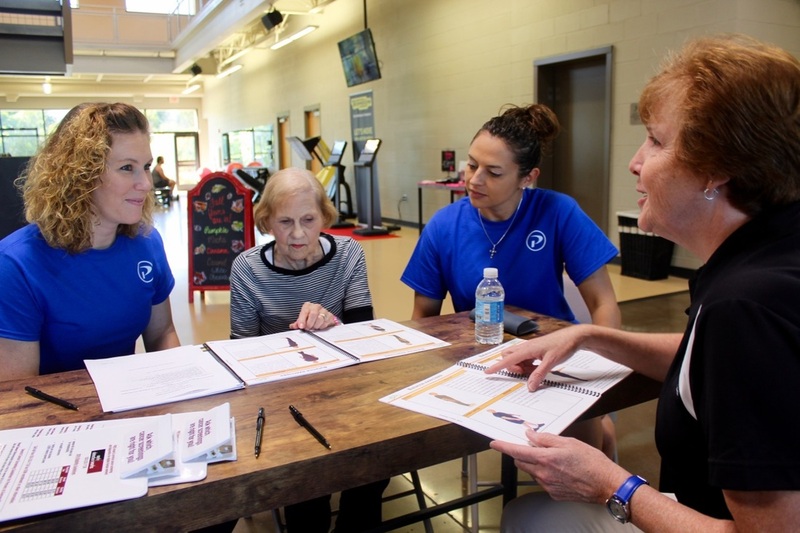 Terry says older members who don’t care to participate in a class but who want a safe, well-lighted, even-surfaced place to walk indoors out of the weather and do so on the facility’s indoor walking track, which is bordered by a railing. And, she invited older residents who are interested in setting up a personal plan for physical activity to call or visit Pinamonti Wellness. "It's never too late to get started being active," she said. Have a suggestion for a future Spotlight? Joanna Rhodes knows the benefit regular physical activity: A busy mother, she makes time for it because it has improved her health, reduced her stress, and improved her well-being. Integrating it into an event to raise much-needed funds for a cause she's passionate about seemed only logical. The event: The Get Fit TRYathlon, which kicks off Saturday in Pittsburg and continues on Aug. 6. ​A mentor for Big Brothers-Big Sisters for more than 10 years, Rhodes' match ended in May just shy of 11 years because her “little,” Cheriah, turned 18 and graduated from high school. As a board member, she also was well aware of the cost of matching adult volunteers with “littles” who need a mentors; each match requires $1,000. “To match them with someone who can make a significant positive impact in their lives, and show them who they are capable of becoming,” Rhodes said. 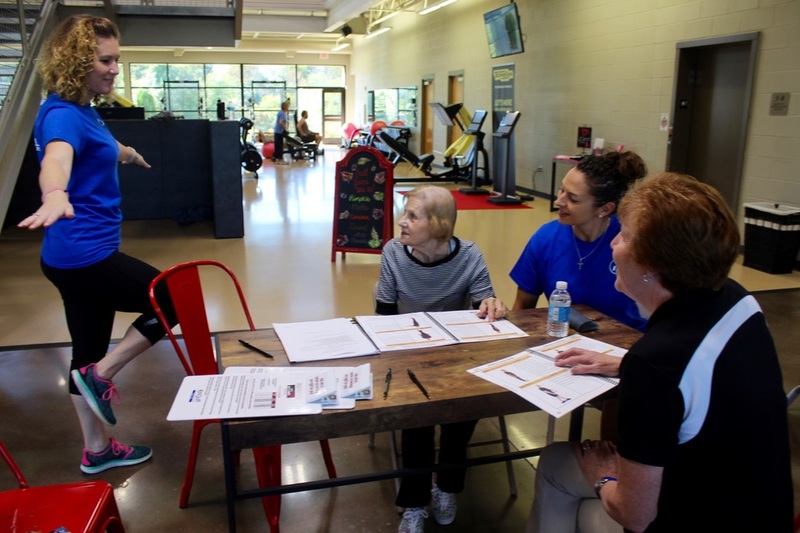 Rhodes, who competes in area race events herself, saw the Get Fit TRYathlon as a unique way to bring awareness to the agency and to raise funds. But it also was a way to encourage youth and amateur athletes to get out and get active, perhaps at something they've never done before. She has seen adults doggy-paddle during the swim portion. 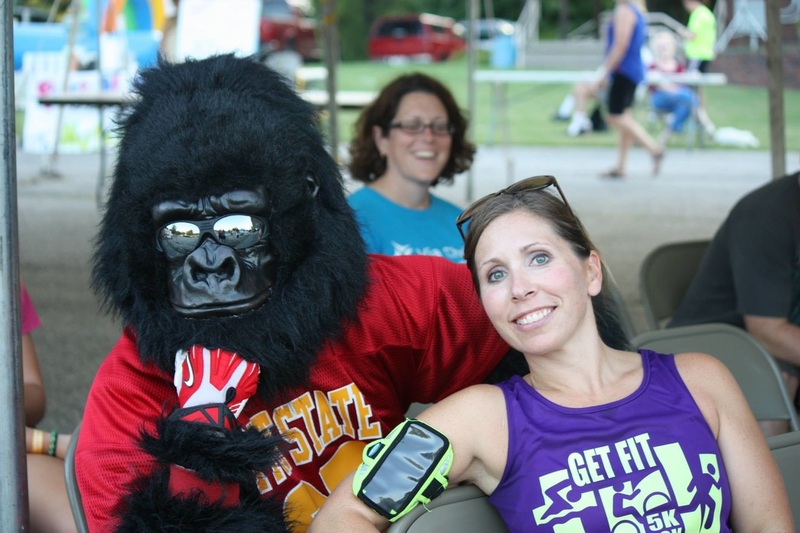 The 5K/10K course will start and end at Gorilla Village on the campus of Pittsburg State University on July 30. The Get Fit TRYathlon will be held at the Pittsburg Aquatic Center on Aug. 6. The 5K/10K race is open to all ages. Start time is 7:15 a.m. July 30. The free youth TRYathlon clinic is also July 30 from 8:30-11 a.m. at the Aquatic Center. Experienced volunteers will cover the basics of safe swimming, biking, running and transitioning, and safety checks on bikes and helmets. You can register on site. Kids ages 5-14 can compete in the youth TRYathlon on Aug. 6 with distances varying by age. The Super Sprint Team Relay TRYathlon will feature teams of three any gender over the age of 10. Each individual will swim four laps, bike four miles, and run one mile. Team members can be any gender and must be at least 10 years old. All participants receive T-shirts and finishers medals. The top finishers in age categories get trophies. Everyone is welcome to the post-race celebration to enjoy food and festivities. Register online at http://getfittryathlon.weebly.com or call 620-704-1396 for more information. All proceeds benefit Kansas Big Brothers Big Sisters serving Crawford County. Early in life, John Robb didn’t give a thought to exercise or what he ate. “I was a fat kid,” said Robb, who by sixth grade weighed 150 pounds and as an adult, was told he'd better shape up or his lifestyle would kill him. At 73, he’s now a distance athlete. He logged 4,000 miles on his bicycle in 2014. 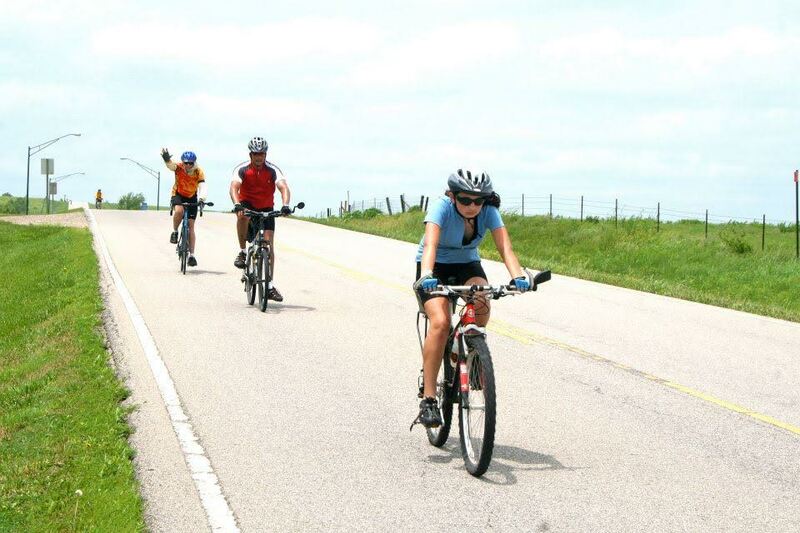 He’s ridden across Kansas nine times — missing only the year he had a knee replaced, but not the year he was fitted with a pacemaker. A native of Pittsburg, he grew up on a farm eating gravy and whole milk. He played no sports and was mostly sedentary. It was while in basic training at Ft. Riley that he learned he had high blood pressure. While stationed in Korea, he was told it was serious: He weighed 275 pounds. So he cut out drinking and desserts. And he started running. "It was life or death,” he said of his condition. “You’ve got to come to a point where you realize that. I saw it as a wake-up call. The first quarter mile was awful." In 13 months, he lost 100 pounds. Back stateside, he continued running. Then, he began competing, starting with 5Ks, working up to 10Ks and then a marathon. He wasn’t going for speed — his best time was 4 hours. But he was 51at the time, and he was proud to finish. 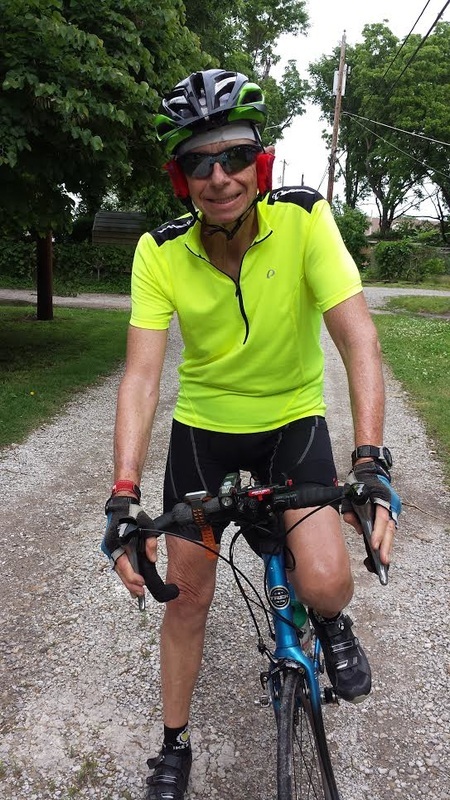 When he retired and returned to Pittsburg in 2002 with his wife, Carole, he took up cycling and completed his first 400-plus-mile Bike Across Kansas in 2009. But then the lights went out. Physicians discovered a heart blockage: A Widow Maker. His logic made sense, his wife said. 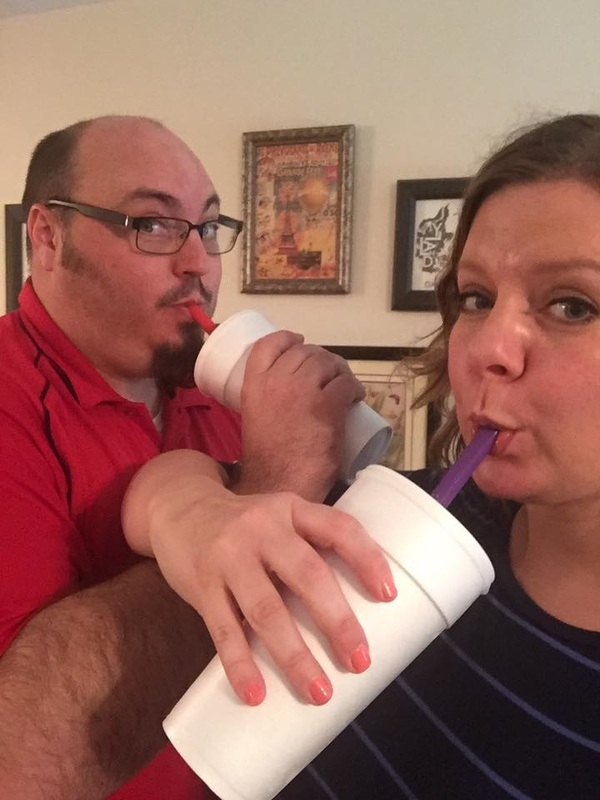 “He was putting in miles and miles, so if he wanted a milkshake, he would eat it,” she said. He began a strict diet: No foods with anything they couldn’t pronounce. No preservatives. No palm oil. No artificial sweeteners. Beef, pork or chicken once a week, and no more than 3 ounces at a time. No more than 29 grams of fat a day, including the good kind. Broccoli and fish each twice weekly. No more than 1,500 milligrams of salt per day. Breakfast is a bowl of steel-cut oatmeal. Instead of salad dressings, they dress up greens with crunchy stuff: cranberries, walnuts, dried fruits, carrots. The couple now cooks almost entirely with organic or locally grown food, shopping at the farmers market, a local food cooperative, the organic sections at Ron’s and Dillons supermarkets, and at Whole Foods in Kansas City. For meat, they eat only grass-fed turkey, bison and venison for its low fat content. And their larger meals are at noon, with lighter fare such as soup or smoothies in the evening. Keeping an exercise diary is important to his success, he said. He's also participated in the National Bike Challenge sponsored by the League of American Cyclists. In 2014, he finished 16th out of 320 riders of all ages. He also has completed the PSU Gorilla Century and ridden every county road in Crawford County. “Doctors tell me to just keep doing what I’m doing,” he said. John Robb is a Live Well member and part of the Live Active commitee. John participated in the BAK with his son and a granddaughter.